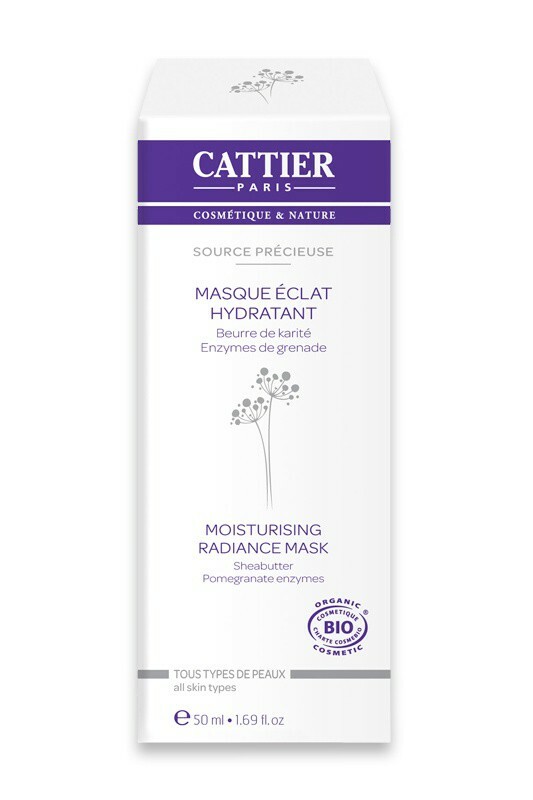 CATTIER Organic Face Mask "Source Précieuse" deeply moisturizes, protects and rejuvenates your skin for a pure moment of well-being. Its organic formula contains pomegranate enzyms to stimulate cell renewal, so your skin pores are tightened and your complexion is radiant. Its creamy texture wraps you with instant feeling of comfort and softness. Perfectly hydrated and revitalized with Cattier Organic Moisturising Radiance Face Mask, your skin is radiant, smooth and supple ! 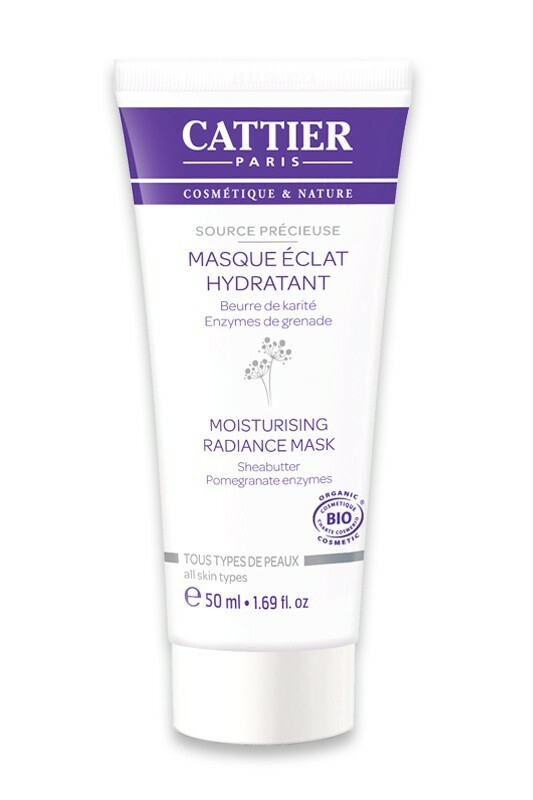 Apply CATTIER Organic Moisturizing Radiance Mask once to twice a week, in thick layer, on clean and dry skin. Let it pause for 10 minutes then massage in until fully absorbed or wipe off the excess. CATTIER ORGANIC MASK IS A COCKTAIL OF NATURAL HYDRATION ! Squalane, Stearyl Alcohol, Butyrospermum Parkii Butter*, Parfum, Populus Tremuloides Bark Extract, Aloe Barbadensis Leaf Extract*, Lactobacillus/Punica Granatum Fruit Ferment Extract, Dicaprylyl Carbonate, Sorbitan Stearate, Xanthan Gum, Benzyl Alcohol, Dehydroacetic Acid, Lactic Acid, Tocopherol.